Aamir Khan is fighting fire over his comments on intolerance. Here's a roundup of all the madness. Bollywood superstar Aamir Khan on Tuesday found himself in the centre of a political storm over his remarks on intolerance, with the BJP sharply criticising him and the Congress stoutly defending him. The actor-producer's candid remarks at an awards event in New Delhi the previous day set Twitter abuzz and left the film fraternity divided. "For the last six to eight months, there has been a growing despondency I would say. 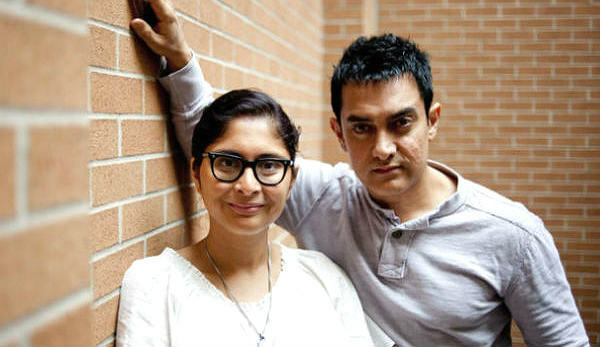 Kiran (wife Kiran Rao) and I have lived all our life in India. When I sit at home and talk to Kiran, for the first time she said, 'Should we move out of India?' Now that's a very disastrous and a big comment to make to me." "The record shows that the number of incidents of communal violence in the country have come down since NDA came to power. Just to make a blatant statement that during NDA rule, the country has become intolerant, it unnecessarily tarnishes the image of the country." The Congress, however, supported Aamir, with party vice president Rahul Gandhi suggesting that the Narendra Modi government reach out to the people to know why they felt disturbed. "Instead of branding all those who question the government and Modiji as unpatriotic, anti-national or 'motivated', the government would do better to reach out to people to understand what's disturbing them." In a quick rebuttal, the BJP said Rahul Gandhi supporting Aamir's comment, reeks of a conspiracy to defame the nation. "We completely reject the comment of Aamir Khan. He is not scared but he is trying to scare people. Aamir Khan makes a comment and Rahul Gandhi supports it. It becomes clear from Gandhi's comment that there is a conspiracy going on in the country to defame the nation," BJP spokesperson Shahnawaz Hussain told media persons in New Delhi. "India gave him all the laurels and respect. He should not forget that India made him a star," Hussain said. A complaint was lodged with the Delhi Police against the PK star, by short filmmaker Ullhas PR over the remarks. Meanwhile, hundreds of activists of the Hindu Sena on Tuesday staged a loud demonstration outside Khan's residence in Mumbai against his statement on intolerance. They were detained by the police and security beefed up around Aamir's house. Further stoking the ongoing debate on the rising intolerance in the country, BJP parliamentarian Yogi Adityanath said that people were free to leave as it will reduce the country's population. All India Majlis-e-Ittehadul Muslimeen (AIMIM) chief Asaduddin Owaisi, however, said the Muslims would not leave the country, come what may, and that they would continue to live here as "proud Indians". "BJP should stop silencing voices through abuses and threats. It's high time that the central government took concrete steps to instill a sense of security amongst people." 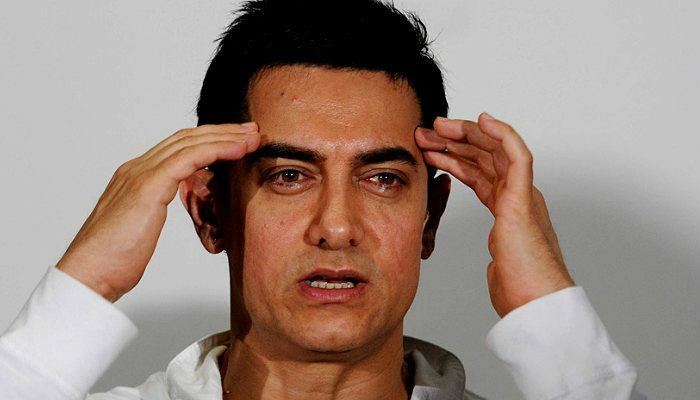 Several members of the film fraternity, including Anupam Kher, Ram Gopal Varma and Ashoke Pandit, slammed Aamir, saying that he must spread hope and not fear. Veteran actor Anupam -- also a BJP supporter -- questioned Aamir on Twitter over whether he had asked Kiran "which country would she like to move out to". "When did 'Incredible India' become 'Intolerant India' for you? Only in the last seven to eight months? #AtithiDevoBhavah," Anupam tweeted. Aamir, in 2008, was appointed to endorse the tourism ministry's Incredible India campaign. "Aamir, Shah Rukh and Salman -- the three biggest stars of the Hindu country India are Muslims, I don't understand where intolerance is?" "PK did rattle the belief of Hindus, but Aamir didn't face the wrath of Hindu or THE MAJORITY... but was a superhit and made crores." There were also some who backed Aamir -- music composer Vishal Dadlani of the Vishal-Shekhar duo, filmmaker Sanjay Gupta and veteran award-winning director Saeed Mirza, to name a few. Dadlani said: "More power to your voice, @aamir_khan Sir! This is OUR country, it belongs to ALL Indians. Not to rabid lunatics from any party/religion. Thanks to Aamir Sir, for speaking against intolerance! Proud to see the giants of film, use their voices for India." "Look, you have points of view. Let them be heard. I heard about the statement of Aamir Khan this morning. In fact, I read about it. He has a point of view, let it be heard. We can debate it," veteran award-winning director Saeed Mirza told IANS on the sidelines of a parallel student's film festival organised by the students of the Film and Television Institute of India in Panaji. "Whatever he said was in a simple manner and what his wife told him. If people have issues and are afraid to live in India, the government should come forward and address those issues. Yes, the situation of the country has changed, it is not a political statement, it is the government's duty to listen to such voices." "If Aamir Khan is speaking out about intolerance and facing a backlash, the Indian actor is probably right."